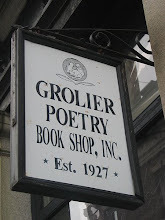 This blog consists of reviews, interviews, news, etc...from the world of the Boston area small press/ poetry scene and beyond. Regular contributors are reviewers: Dennis Daly, Michael Todd Steffen, David Miller, Alice Weiss,Timothy Gager,Lawrence Kessenich, Lo Galluccio, Zvi Sesling, Kirk Etherton, Tom Miller, Emily Pineau, and others. 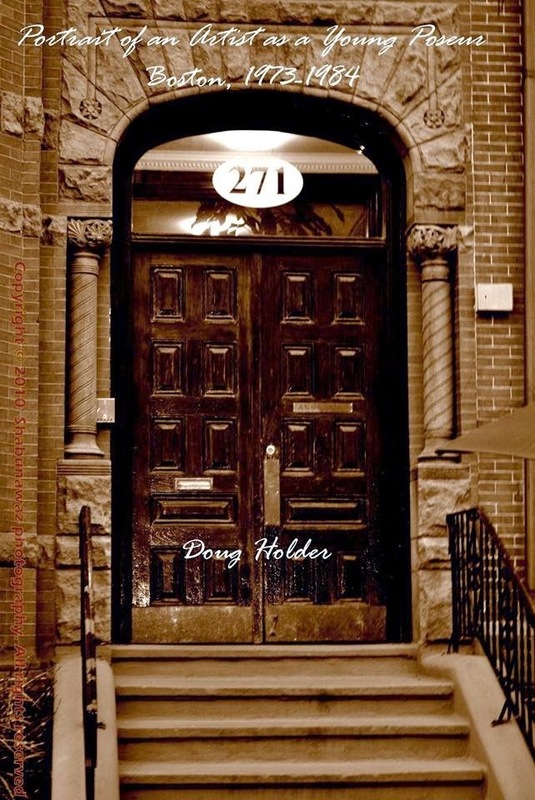 Founder Doug Holder: dougholder@post.harvard.edu. * B A S P P S is listed in the New Pages Index of Alternative Literary Blogs. “I want us to explore what it means to be an artist, to work as an artist, and to lack acclaim.” Thus begins author Helen Marie Casey in the preface to her new book, My Dear Girl: The Art of Florence Hosmer, released by Black Lawrence Press earlier this year. 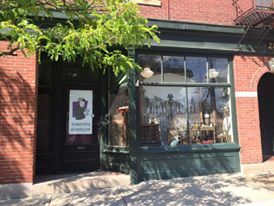 The artist in question, who lived in Sudbury, MA for most of her long and productive life, is a figure of profound interest to Casey, who also lives in the area and is clearly well versed in the art history of the time. As much meditation as biography, My Dear Girl takes as its task not just the reconstructing of one particular life but also, in a way, its conjuring: In fashioning her biography, Casey seems to walk through Hosmer’s life as a kind of kindred spirit, hand-in-hand. Florence Armes Hosmer (1880-1978), lived through huge changes in her world – women’s suffrage, two world wars, the great Depression, and struggles for Civil rights and equal rights – and on a more personal level endured nearly constant financial obstacles and crises of confidence. Born into a large and supportive family and educated at the Normal Art School in Boston, she went through her adult life unmarried, with “no protective partner or spouse, no mentor in the shadows who took her part for her; no agent,” under constant strain to make ends meet. Acclaimed at one time as one of the more prominent of Boston portraitists, she “fell off almost all the charts of American women artists of the early 20th century.” She was not “a path-breaking painter,” writes Casey, “but she was a good one,” and never gave up on “her commitment to the creation of beauty.” She was simply a woman on her own with the desire and training to paint in a world and a time which made such goals particularly challenging. In tracing the outlines of Hosmer’s life, Casey opts for a free-form approach, sorting through the “jumble of detritus waiting to be deciphered” (Hosmer’s letters, notebooks, possessions, artwork, etc) and shifting always backward and forward in time. It is a tack which works well for her. Casey is an astute observer, and there is a method to her meanderings. Through repeated and often seemingly incidental appearances of those most intimately involved in Hosmer’s life and work, Casey draws us gradually into her inner circle, developing Hosmer’s persona Rashomon-style, from a multiplicity of angles. As Casey frames it, the heart of the Florence Hosmer story is really the heart of every artist’s struggle, regardless the medium. “The subjects here that interest me are twinned,” she writes, “—obscurity and accomplishment.” What she seeks to explore is the question of whether some alliance between artist and audience is necessary, “some sign of confirmation that a thing is so.” In Florence Hosmer’s case – as with most artists, it could be argued – the signs were intermittent and often contradictory, though they never stopped her from doing what she loved despite the hardships that that implied. Her art was her way of assimilating her world and, as such, essential to her. The creation of even one beautiful, unforgettable work is enough. One painting. One poem. One short story. One novel. One quilt. One equation. One theory. One musical composition. One work of the imagination that won’t let go of us, that gets under our skin, that haunts us because it has everything right. Florence Armes Hosmer left us hundreds of paintings. Not all of them are memorable. But the memorable work is breathtaking. 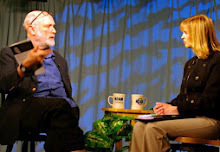 **** Kim Triedman is a managing editor for Ibbetson Street and a widely published poet. Thank you to Kim Triedman for an incisive, interesting, and well-written review of a lovely book about an artist and her times. 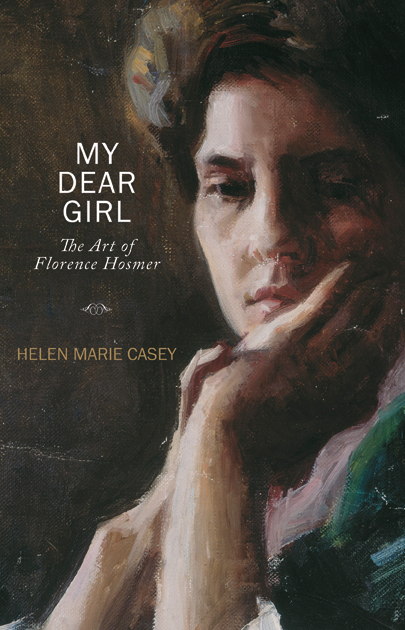 Helen Marie Casey has perfectly captured Florence Hosmer's compelling life story, including many joys and challenges as she pursues her calling as an artist at a time when women were not expected or encouraged in this career choice. 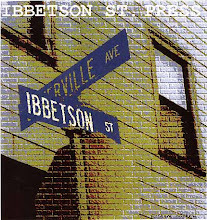 Please donate to the Ibbetson Street Press/Boston Area Small Press and Poetry Scene- keep us alive! 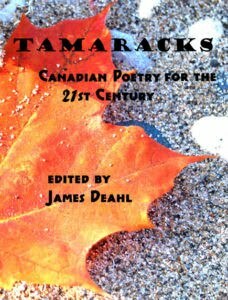 (To order click on picture)Tamaracks is national in scope and presents the work of 113 Canadian poets from Halifax (Brian Purdy) to Vancouver (Daniela Elza). It also contains detailed biographical and bibliographical information on these important writers. 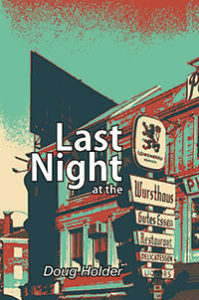 Michael Casey ( Winner of the Yale Younger Poetry Prize--"Obscenities") "This book is a wonderful and entertaining read. It is maybe ten years since I read a book so good that I wished it had more pages. I hope the author is working on a sequel." Neil Silberblatt (Founder of Voices of Poetry) writes, " These poems work for anyone with the gift and curse of memory..." To order click on picture. 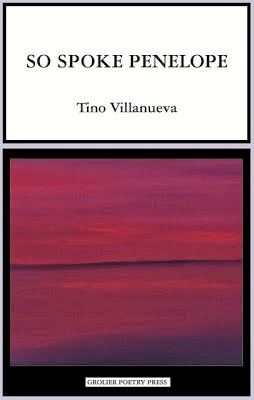 Small Press and Poetry Collection at Endicott College in Beverly, Mass. 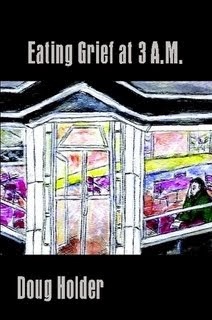 (To order click on picture) “There is a sad, sweet nostalgia in Holder’s Eating Grief at 3 AM, a sense of loss and sadness for the places and the people who were a part of those scenes: the hunchback, the Tennessee Williams’ half lost blondes, the turbaned men and the discarded move nostalgically through life. Yet Holder finds something almost like beauty or knowledge in the abandoned warehouses with weeds crawling to the roof. He imagines when Mrs. Plant, an old art teacher, was an enigmatic young woman ‘feverishly taking notes about the paintings, a love note stuffed in a pocket of her winter coat.’ There are always dreams, even if never fulfilled. There is so often the sense of time passing, of letting go-- letting go of people, letting go of Harvard Square Theater and the Wursthaus, balms that seemed like they would always be there. And they are and always will be in Holder’s moving poems.” — Lyn Lifshin, Author of Cold Comfort (Black Sparrow Press) "
click on pic for more info..... (Eric Darton, (bestselling author of 'Divided We Stand: A Biography of The World Trade Center): ' "...a terrific publication..." Diane Lockward ( New Jersey Council of the Arts Fellow and publisher of Tarapin Books)--"You provide an invaluable service for poets." Rusty Barnes ( Night Train magazine) "Doug. I know your reviewers have made a difference to me and my work. Keep up the good work". J.L. 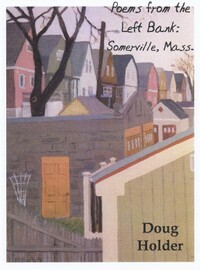 Morin ( Lecturer at Boston University/ Library Review) "That's a lovely blog you've got there, Doug Holder." ( Sherill Tippins--"Inside the Dream Palace: The Life and Times of New York's Legendary Chelsea Hotel.") " I love your introduction, and fervently hope that Somerville never meets anything like the Chelsea Hotel's fate. It's always a pleasure to read your blog -- even when I'm not in it!" 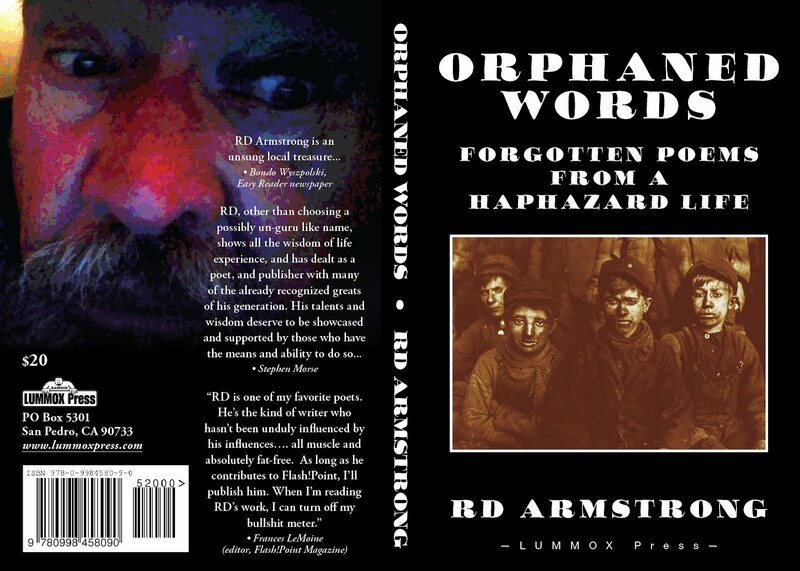 Alan Kaufman ( Editor of the "Outlaw Bible of American Literature")-- " ...a terrific blog..." Perry Glasser--( Winner of the Gival Press Novel Award): " The blog is very impressive." 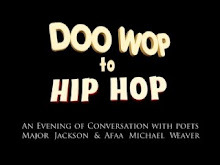 Elizabeth Swados ( Tony Nominated Playwright, Guggenheim Award Winner ): "Thanks you so much for this review on your blog. It helps so much, not just in terms of getting people to know that it exists, but also makes me feel that someone has gotten what I have tried to do. I wish you the very best." Marguerite G. Bouvard, PhD-- Resident Scholar Women's Research Center-Brandeis University: " I love reading your blog. What a refreshing respite from the New York Times. 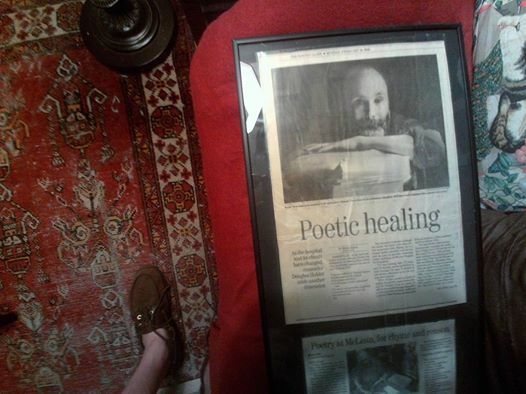 Thanks for all you do for poetry." Ed Hamilton--author of "Legends of the Chelsea Hotel" commenting on Chelsea Hotel article: " That's a great piece. Thanks for sending the link along." Richard Moore-- Finalist/T.S.Eliot Prize " I have just read your wonderful interview of the wonderful Eric Greinke!" 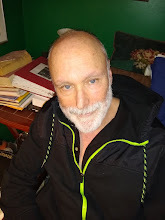 Steven Ford Brown (Former Director of Research for the George Plimpton Interview Series "The Writer in America"): " You did a great job with the Clayton Eshleman interview, especially the personal stuff. So much better than doing the dry talk about literary polemics." 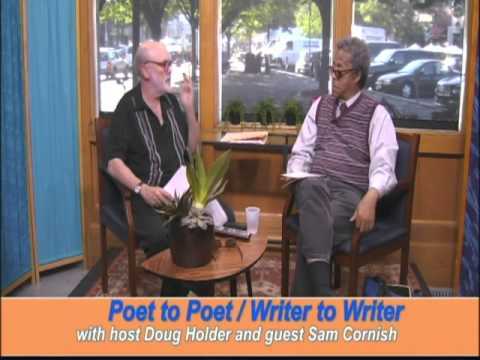 Celia Gilbert (Pushcart Prize in Poetry) "Doug thanks so much for that fine shout out. 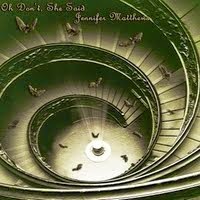 I'm delighted how you put it all together!" Karen Alkalay-Gut, PhD ( Professor of English-Tel Aviv University) "Doug, I enjoy your posts immensely" Lise Haines ( Writer-in-Residence, Emerson College-Boston) "I love your blog!" 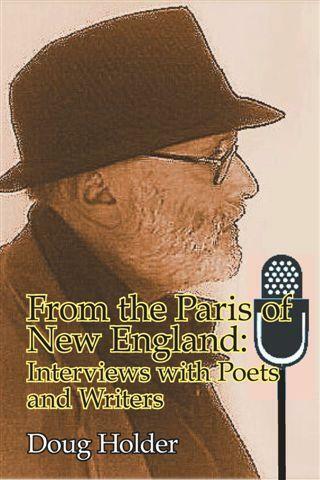 "( Elizabeth Searle- Executive Board/Pen New England) : "Like your blog. 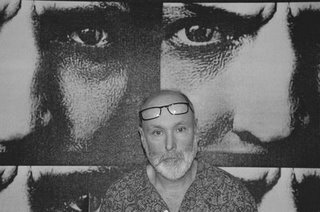 I like the interview with Rick Moody." Ploughshares Staff- " Everyone at Ploughshares is a big fan of your blog." Suzanne Wise (Publicity Director Poets House-NYC): "Thank you so much for this wonderfully thoughtful portrait of our new home! You really "get us" and you translate that understanding vividly. I love the way you talk about Stanley's ( Kunitz) giant dictionary as a relic from another age. We're glad to preserve such relics." Kathleen Bitetti ( Chief Curator Medicine Wheel Productions/ Former Director of the Artists Foundation--Boston.) " Love your interview with Marc Zegans...wonderful blog!" Ibbetson Street is now in a partnership with Endicott College! (Click on to go to the Endicott College Website)Ibbetson will be supported in part and formally affiliated with Endicott College. ( Click on picture to go to column) A weekly column in The Somerville News--Somerville's only independent newspaper! ISCS PRESS--WE WILL PUBLISH YOUR BOOK! Reach a wide swath of the Boston Area literary community through The Somerville News' "Off the Shelf" literary Column with Doug Holder. The column is online and in a weekly print edition that reaches 15,000 readers. For more information click on picture. 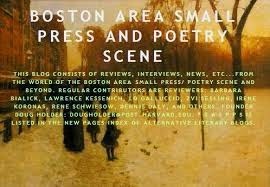 Advertise with the Boston Area Small Press and Poetry Scene.